The topic of the night — CONVENTIONS. Why do we pack up and head out for destinations unknown and why should authors consider paying them a visit? 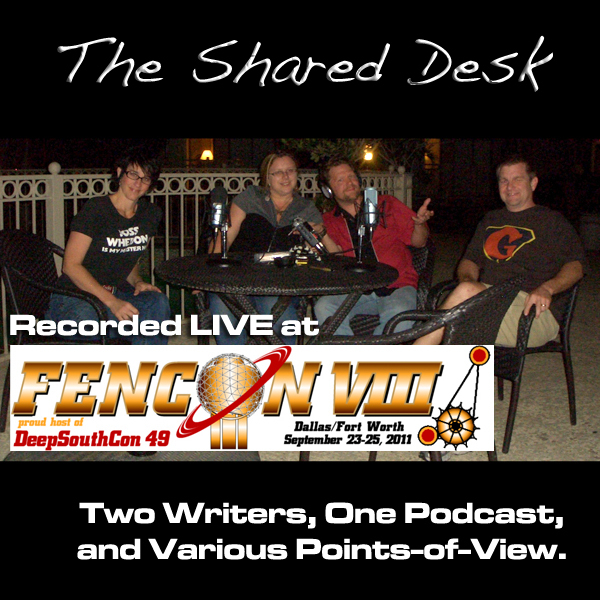 Join Tee & Pip poolside for this round table discussion on conventions from the author’s and the fan’s perspective. Are you sure you’re Philippa Ballantine? Kick back for this hour-long extravaganza recorded in the great state of Texas! 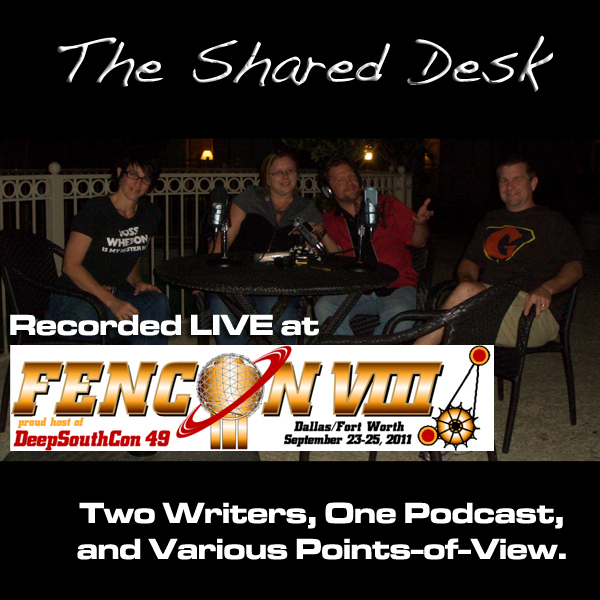 So what brings our guests to FenCon and what did they expect? Pip comes clean on how tough it was to “return to reality” after the Guest of Honor treatment. What do you as a potential guest offer to the cons? What is a Rite of Ascension for a Would-Be Author? For Beth and Odin, what should the fans bring to the con? What would be considered good fan etiquette? Beth squees under peer pressure….and so begins spontaneous squeeing through the remainder of the podcast…. Felicia Day makes Gail squee. Closing comments and promotions…with a SECOND SHOUT OUT TO BALTICON!!! breaks the ONE HOUR BARRIER! If you’re going to break the one hour barrier, it might as well be with a Warlock Rock Star from Mars. From Olivia: What is your process for creating characters? From Machelle: Should I use an outline, or dive into writing a story? From Gail: Should I use a pseudonym? What is it about Odin1eye that bothers C.U.C.? The audio is barely two week’s old…and it’s already dated. Heading to New York Comic Con this week! Check out our websites for our New York Comic Con schedules. But we are not done yet! We’re hooking up with friends at ComiKazie Expo in Los Angeles. Thanks, Gail, for this episode’s album art!